Hi friends! We're doing something special each weekend in December. Each weekend there will be a special sale. 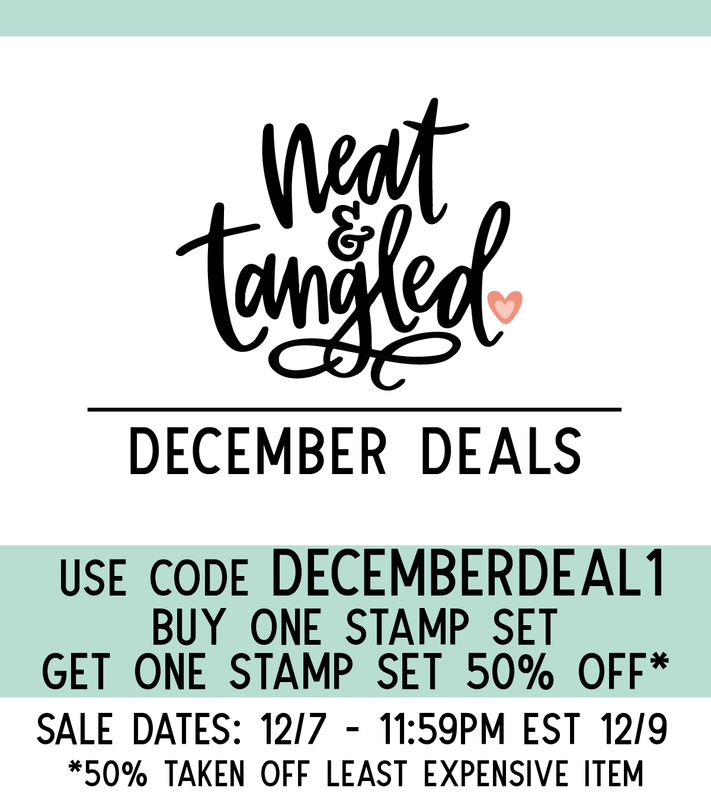 It might be a category of items, it might be a percentage discount, it might be something like we're offering this weekend: Buy one stamp set, get a second 50% off. There's no limit, if you buy one set you get one half off, if you buy ten, you get ten half off. 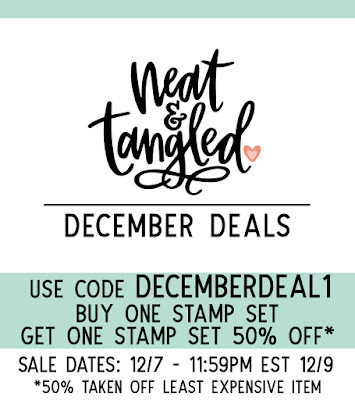 December Deal #3 - Stencils!